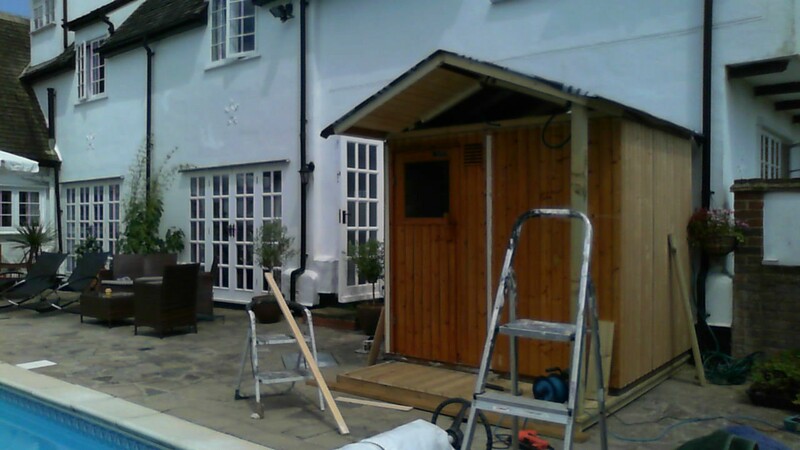 Sauna second stage: Tony and Carl working on the carpentry and plumbing today – painting and electrics to follow next week. Here we are – at 5 months in and the sauna takes shape. While I think it will be most popular in Spring and Autumn, the shower attachment will mean people can take a rinse before and after their swim during the summer months. So looking forward to completing the design- painting etc to make it look like our own beach hut at Warner’s Farm.